Midwest Book Review: (free) American Science Fiction TV: Star Trek, Stargate And Beyond by Jan Johnson-Smith (Senior Lecturer in Film and Television Theory, Bournemouth University Media School, United Kingdom) surveys the development of science fiction television over the last twenty years with a special focus on narrative, imagery, and ideology. The author makes some fascinating connections between the ancient tradition of the epic journey with the more recent American tradition of the "Wild West". The reader is shown how themes of journey and exploration, and the archetypal characters associated with these themes, have continued from ancient times to the modern era. Johnson-Smith utilizes case studies of several key science fiction series including "Babylon 5", "StarGate SG-1"; "Space: Above and Beyond", and others to reveal common narrative patterns and visual styles. These case studies explore diverse themes including politics, ideology, race and ethnicity, gender difference, militarism, and the use of science fiction narratives as allegories of present-day social and political issues. 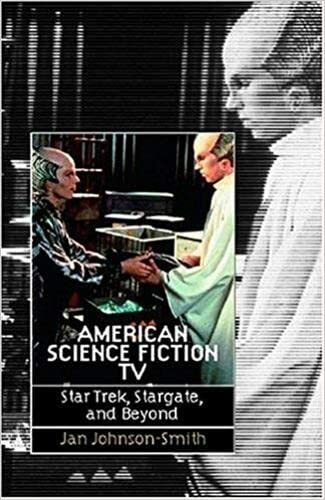 American Science Fiction TV will prove of immense interest to students of American Popular Culture, the history of American television programming, and fans of fantasy and science-fiction.